Just months after Peloton Inc.
(NEW YORK, NY) — Cove Property Group recently announced that Lyft has signed a 100, 638-square-foot lease at Hudson Commons. The on-demand transportation company was represented by Steven Rotter and Justin Haber from the investment management company, JLL. 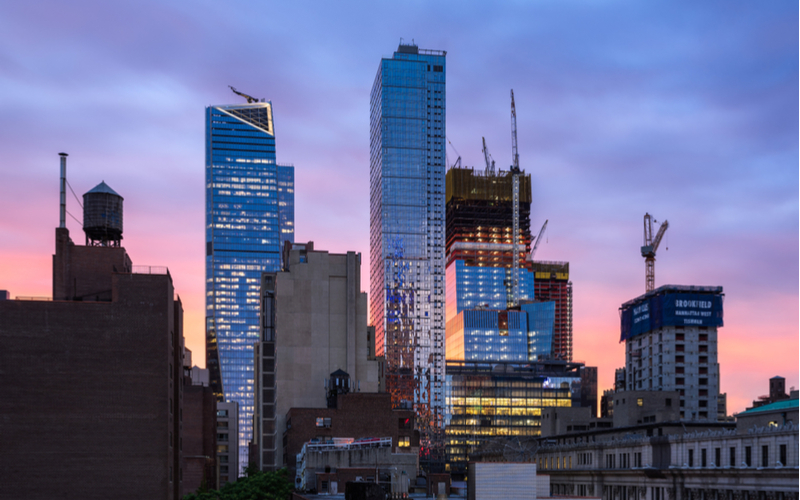 The 28-story tower is located next to Hudson Yards, which continues to draw prospective tenants. The redevelopment of the Moynihan transportation hub and Penn Station has made the tower popular among big-name companies. Back in November, Peloton Inc., rented 312, 200 square feet of office space in the building. Already 63% full, the building will open its doors in the summer of 2019. “The neighborhood’s transformation is exciting and ongoing. In surveying the surrounding developments, we saw an opportunity to respect the beautiful 1962 warehouse building’s heritage and add significant square footage above it, rather than tear it down. The aim was to provide a combination of large and boutique floor plates ranging from 50,000 RSF to 16,000 RSF, that paired the factory type feel and aesthetic in the base with new, efficient construction,” said Managing Partner at Cove, Kevin Hoo. Cove has designed a workplace that caters to the user’s experience. Through the implementation of new technology, Amit Patel, a partner at Cover who oversees the implementation of new technology, is revolutionizing the spaces we work in. “The infusion of technology and the amenitization of the office environment is here to stay. Our tenants demand quicker response times and a mode of operation that mimics their living environments, whether it be through app-based zoned climate controls within their spaces, real time amenity/event reservations, seamless visitor management or even facial recognition technology at the turnstiles to expedite secured access to the building,” said Patel. With Lyft and Peloton officially tenants, only 53,000 square feet of office space remains available in the tower. Stephen Siegel, Evan Haskell, Paul Haskin, James Ackerson and Ben Joseph from CBRE are the exclusive office leasing agents for the tower.